Even though Amnesia: The Dark Descent will be three years old in a few days (on the 10th) and a sequel is just around the corner, fans are still using its engine to spin new tales. Impressive. In this one, the player will square off against Pestilence, War, Famine, and Death; quite an undertaking! It’s been more than a year since The Four Horsemen demo was released, but now the full version is finally available. Like the main game, jump scares, cinderboxes, unlit rooms and other nasties are also part of Alistair’s quest to rid the world of the Four Horsemen. Since there are plenty of closets to hide in, it would surprise me a monster or two didn’t lurk in the shadows. Not that I enjoyed being chased by them in the main game… quite the opposite! The Four Horsemen tells the story of Alistair – a 19th century researcher who has devoted his life to the study of the Four Horsemen. When the horsemen are called to Earth, Alistair makes haste and prepares himself to destroy them at the very place they were summoned. I wonder if this mean a huge battle will take place, or if Alistair’s got a more mystical approach in mind? It’s highly doubtful that he would stand a chance in physical combat after all, and no matter what, one thing is certain: they need to be stopped! With quality voice acting, custom assets/music and the story of the Four Horsemen to top it all off, this looks like an adventure that shouldn’t be missed! 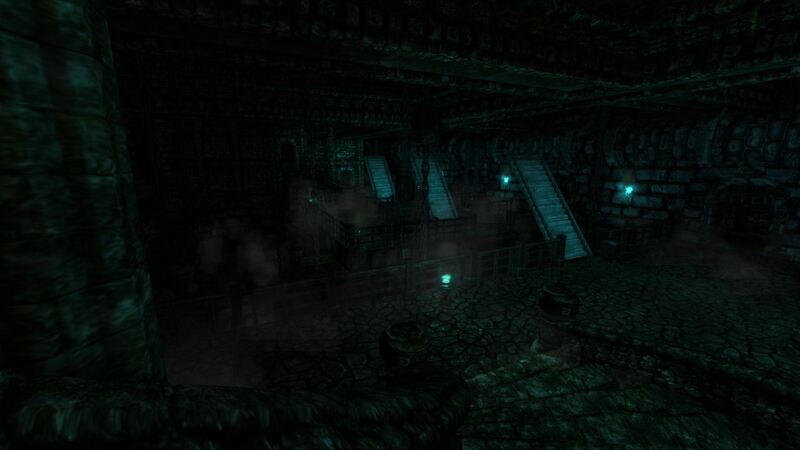 You’ll need Amnesia: The Dark Descent v1.2 to play The Four Horsemen, and for the optimal experience (read: most terrifying), I’d recommend playing in a dark room with headphones.